Virtually taking the words straight from my fellow bloggers post over at The Insomniacs Guide to Ambulances, this has nothing to do with Ambulances or EMS, but here is a short You tube video that as I watched it didnt think much to it, until I watched it right through to the end. Very clever and very inspirational. Have a look, then share it around the interwebz! As a Child of the '60s, I found the first half really depressing. I still believe that We Can Make A Difference, I Can Make A Difference.The second half renewed my faith. 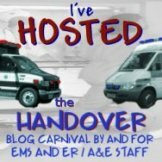 “Nothing to do with ambulances at all, and unashamedly stolen from my friend over at Jumblerant” and why do you think I wouldn't be reading your marvelous blog sir?